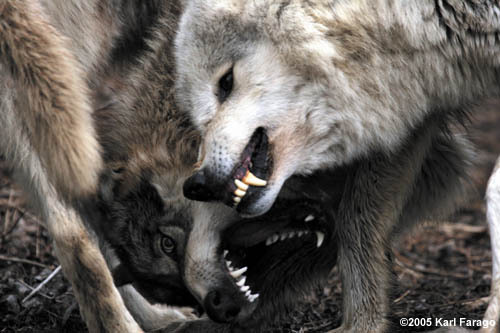 Adult wolves have 42 teeth, which are designed for seizing prey, shearing meat from bones, and crushing. It has been estimated that the bite pressure for wolves is 1,500 pounds per square inch, enough to break the thighbone of a moose. In comparison, a German shepherd's bite pressure is 750 pounds per square inch.